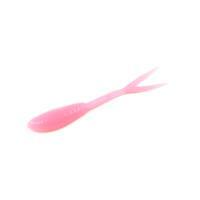 Clam Guppy Flutter Spoons are designed to fall randomly and flutter effortlessly. 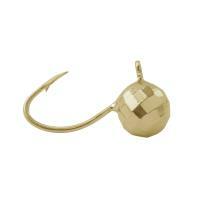 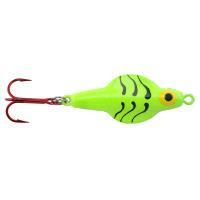 These spoons are shaped like a small guppy and come with metallic plated colors. 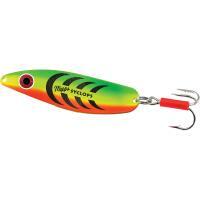 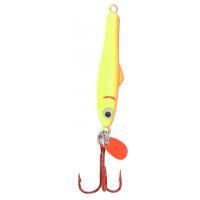 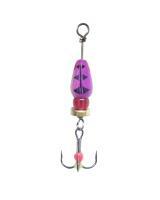 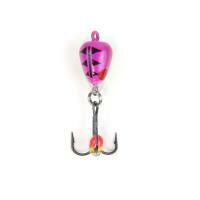 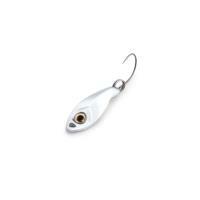 Guppy Flutter Spoons come with a fast-snap clip, a deadly single hook, and attractor eyes. 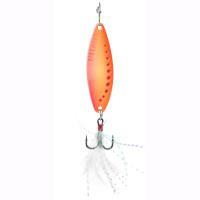 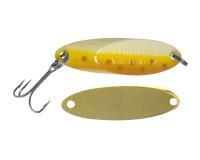 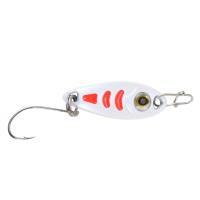 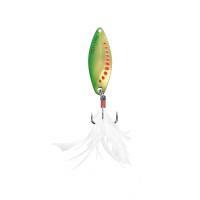 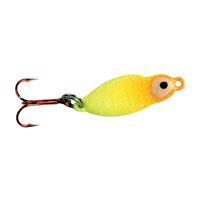 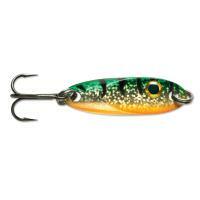 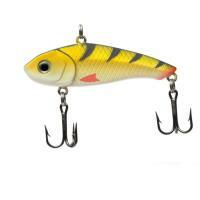 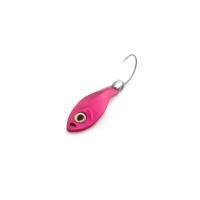 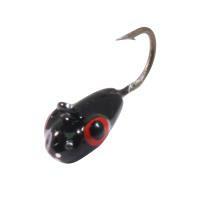 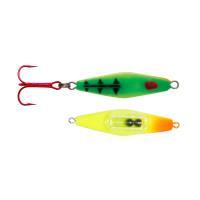 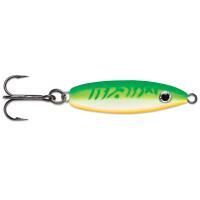 The Clam Panfish Leech Flutter Spoon sinks with a distinct back and forth tumble motion that produces loads of flash. 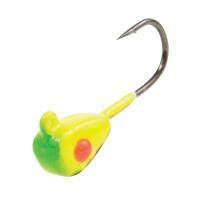 The Flutter Spoons are painted and plated with the brightest metallic finished available to ensure maximum flash under the water. 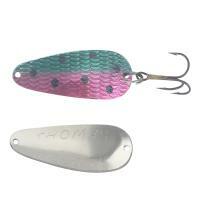 Made with super lightweight zinc and a feathered bottom for maximum fluttering and tumble on its way down.